CHICAGO and ATLANTA, Aug. 16, 2018 /PRNewswire/ -- CareerBuilder, one of the largest human capital solutions companies in the world, today announced it has named Andrew Streiter, an accomplished leader in the recruitment industry, as senior vice president of the company's staffing and recruiting group. CareerBuilder's staffing and recruiting group serves nearly 95 percent of the top 150 staffing groups in the country and has more than 3,000 customers. In his new role, Streiter will lead the sales strategy and product vision for one of the most critical segments in the world of recruitment – the staffing industry. Drawing on a rich history of working closely with staffing and recruiting firms across the country, Streiter has a keen understanding of the challenges they face and how the right technology solutions can combat them. "I am excited to welcome Andy to this new position," said Irina Novoselsky, president and chief operating officer of CareerBuilder. "His breadth of experience working closely with staffing and recruiting groups, coupled with his innovative and results-oriented mindset, make him the right person to champion the client's needs and continue the important relationship we have with the staffing industry." 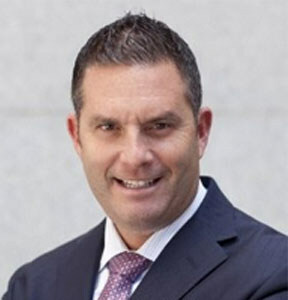 Streiter joined CareerBuilder in 2005 as a national account executive in New York and has held key leadership roles in sales and business development for the company ever since. He most recently served as senior vice president of managed services, overseeing CareerBuilder's sourcing division. In a prior role as vice president of sales, he was responsible for developing human capital strategies for a variety of organizations ranging from Fortune 1000 companies to mid-sized businesses. "My passion has always been helping clients develop recruitment strategies that exceed their expectations in an efficient and effective way," said Andrew Streiter, SVP of staffing and recruitment group at CareerBuilder. "I am excited to apply my industry knowledge and continue to build upon the strong foundation CareerBuilder set before me with the staffing industry."